Notes: This manuscript can be dated to ca. 1450-65. 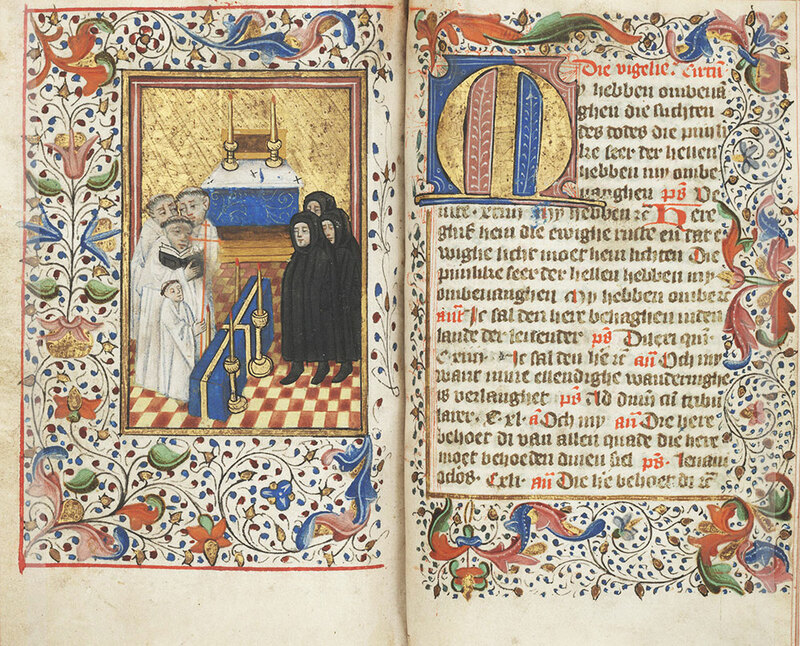 Notes: This opening occurs within the second volume of a combined psalter and book of hours written in Dutch rather than the usual Latin. 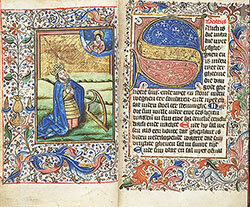 Unlike most areas of Europe, devotional manuscripts produced in the Netherlands tended to be written in the vernacular language, a consequence of the spiritual movement popular in the region known as the Devotio moderna (Modern Devotion). 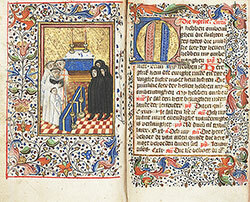 Because of the movement's emphasis on personal devotion practiced through pious reading and writing, many devotional texts such as the psalter and the texts associated with book of hours were translated into the language spoken and read by the majority of its followers. 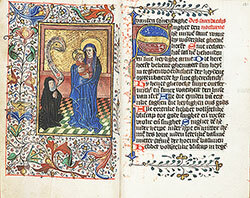 This manuscript was painted by one of the few Netherlandish illuminators for whom we have a name: Antonis Rogiersz. 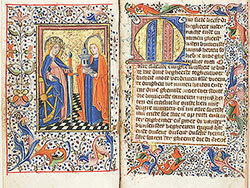 uten Broec, who was mainly active in Utrecht in the 1450s and 1460s.